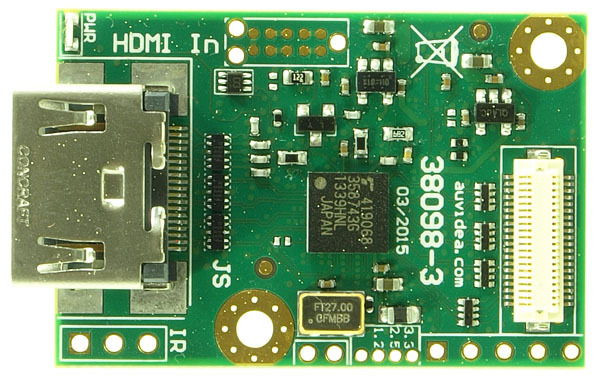 This product evolved out of the original HDMI interface for the Raspberry Pi. 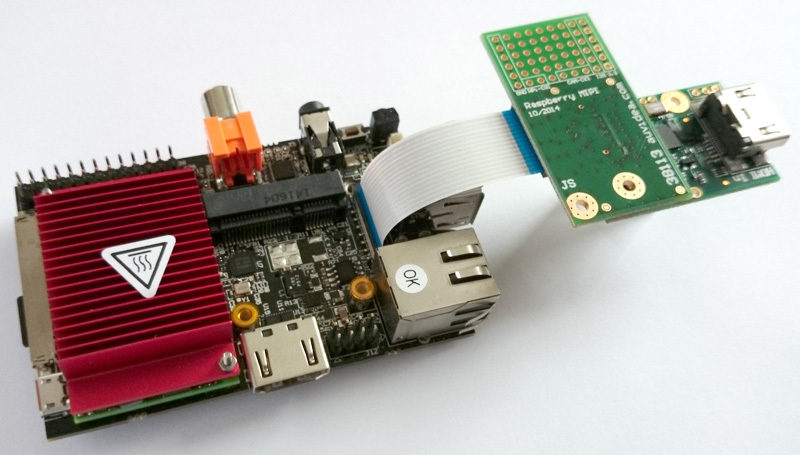 Now it is a very general purpose design and can therefore be targeted to multiple platforms including the Raspberry PI, the HummingBoard or the Jetson TK1. As of December 2014 the first prototype is working on an iMX6 development platform with the video4linux (V4L) driver and Gstreamer playing out the video from the HDMI input on a HDMI monitor. In the current setup 4 CSI lanes are used. All Raspberry Pi models are not supported (yet) software wise, as the CSI-2 interface of the Raspberry Pi models has not disclosed (yet). The B100 is targeted at software and system developers, who wish to undertake a port of the driver to their target system (iMX6 based). We are using the Nitrogen6x board as the test platform. If you are interested to attempt such a driver port please contact us for further support. We have started the port to the HummingBoard. We should know more shortly. 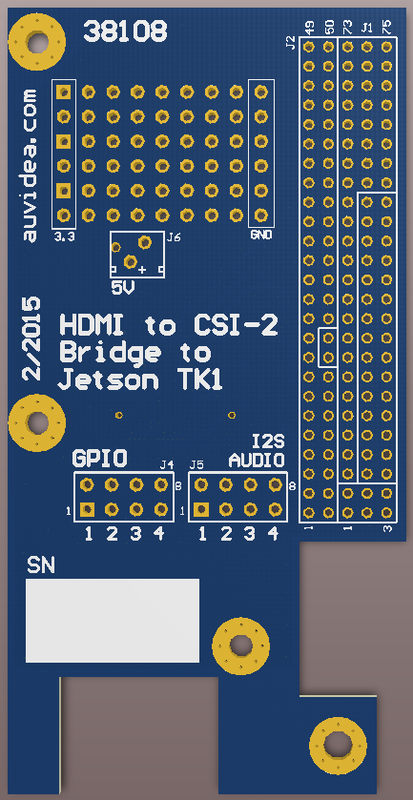 One partner is working on porting the V4L driver to the Jetson TK1. I expect this to be available in July. Please check the purchase page for pricing and availability. 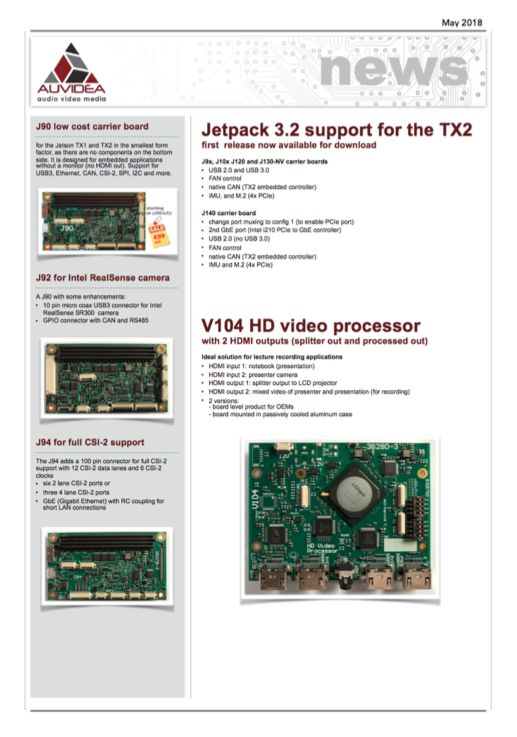 Download schematics of B100-TK1 adapter for the Jetson TK1. The adapter board is a 2 layer board, which interfaces one B100 to the Jetson TK1. 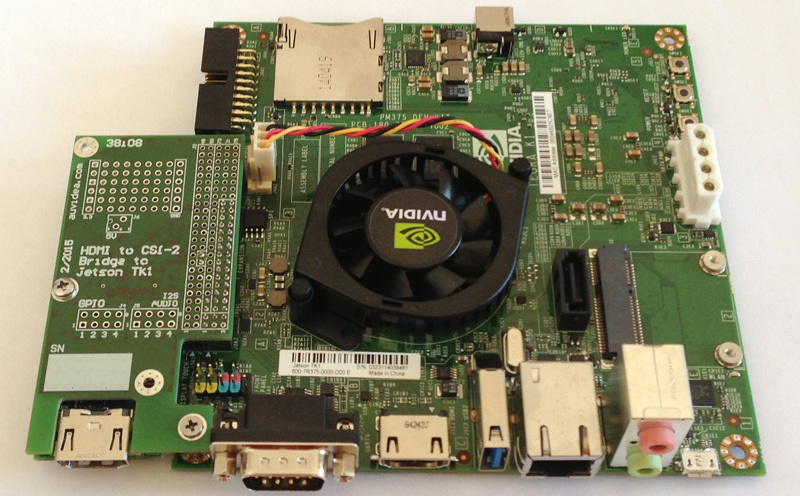 The Tegra K1 processor features two 4 lane CSI-2 ports, but only one is brought out on the extension connector of the Jetson board. Once the driver has been successfully ported we plan to design a carrier board, which features two integrated B100 modules for 2 independent video inputs. We feel confident that the CUDA subsystem of the Tegra K1 processor is powerful enough to process and encode 2 videos at 1080p. J1 is the 40 pin board to board connector on the top of the board. It mates with the following connector: Molex DF12(5. 0)-40DP-0. 5V(86). J3 is the 22 pin FPC connector. It has been removed from the B100 rev 3 and can now be found on the B102. It has the same pinout as the new CSI-2 connector on the RPI compute module base board. Both connectors feature 4 CSI-2 lanes. Simple adapter boards may convert this to other interfaces. MFW_GST_V4LSRC_PLUGIN 3.0.7 build on Sep 9 2014 12:16:17. MFW_GST_V4LSINK_PLUGIN 3.0.7 build on Sep 9 2014 12:16:14.